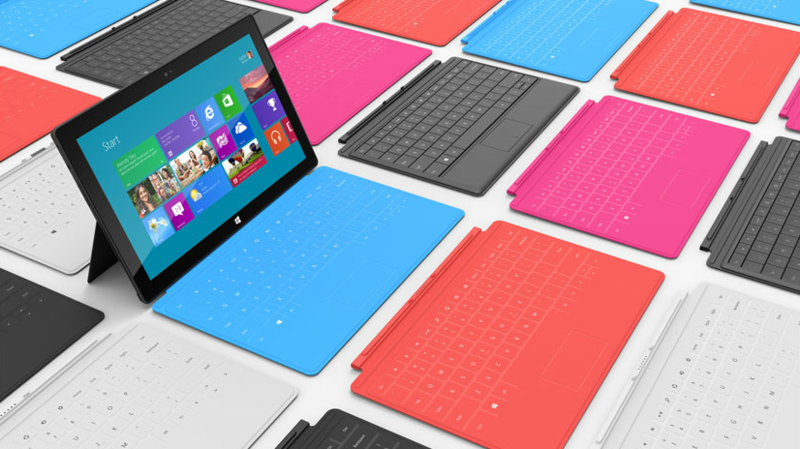 I was really skeptical of this when I first heard the rumors of a possible Microsoft tablet. First because I didn’t think they would risk their relationship with all the OEMs like HP, Dell and Sony. Second because a Microsoft-built tablet would probably be too business-oriented and just lack the whole “cool” factor that many tablet users are looking for. Then I saw the live presentation of the new Surface by Microsoft (they are calling it like that) and it totally blew my mind. I hadn’t been this excited for a Microsoft product for a long time. Sure, it’s yet another tablet, but they seem to have learned a few tricks from the Apple book of “how to make products look exciting during keynotes” (read: they are all magical). 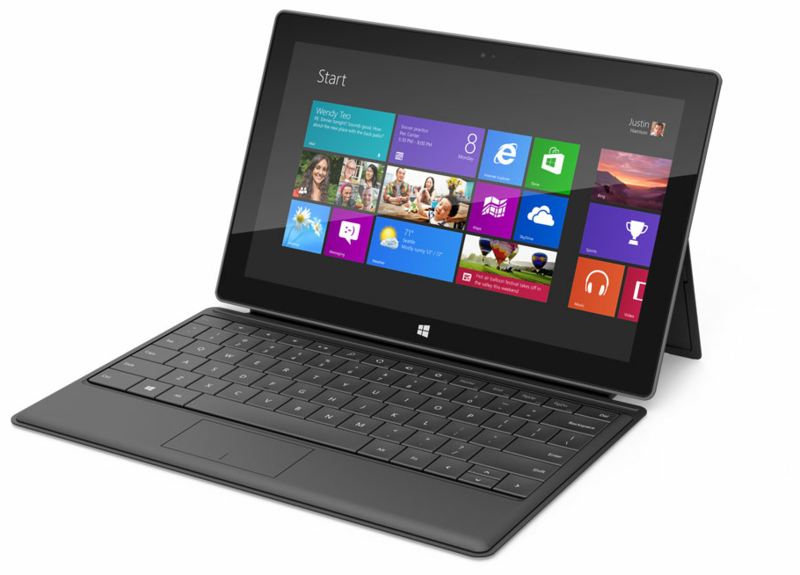 It’s sleek, it screams amazing build quality, it has innovative touches like its colorful touch-covers (which also happen to change the background color of the Windows 8 start screen automatically) and it is the only tablet that comes with a fully functional office suite (Microsoft Office 2013). All of a sudden it makes Windows 8 look a lot more interesting too! This is definitely one bold new direction for Microsoft. Say goodbye to the old “play-it-safe” dinosaur of the last decade. Now, some would say this is too late, but I don’t think Microsoft is late to the game at all. Look at the current state of the tablet market. Some people have completely replaced their daily computer use for a daily tablet use. I know some friends who just leave their laptops at work and only bring home their iPad so they can still read the email, check Facebook and watch the occasional movie or TV show. But that’s not everyone yet. Many people still need proper document editing and higher quality games that do more than just touch and gyro. Microsoft is now offering a solution for this with a tablet that not only has all the hardware necessary to make it a possible notebook replacement (or just complementary), but they also have an OS that is custom-made to work great on both tablets and PCs, unlike iOS and Android. And think about the possibilities in gaming: we’re talking about Windows here, so it’s going to accept any gamepad you connect to it. Play a game on the go… and then plug the tablet to the TV when at home and play a game like Portal 2 (which, on the Intel version of the tablet, it might run moderately well). For now all I can say is good move, Microsoft.